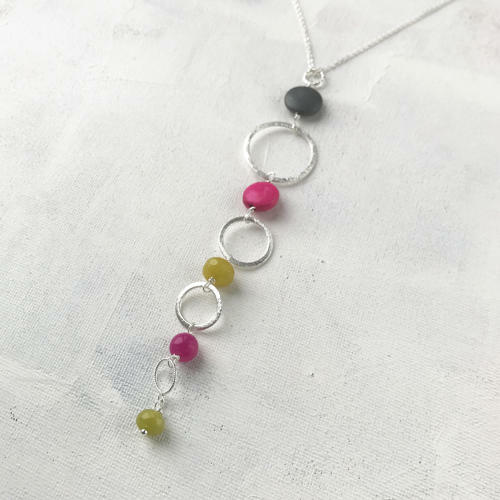 Stylish long pendant with pink howlite, hematite, green and pink jade on silver plated etched circles and trace chain. Length of chain 70cms, pendant 13cms. Designed and hand made in England.